This banner has been approved by Legal Affairs and should be presented to users logging in to the RIT network (including domains) and/or servers. RIT information technology resources are for the use of the RIT community only. By using RIT information technology resources you acknowledge that you have read and comply with RIT's Code of Conduct for Computer and Network Use and RIT's Information Security Policy and Standards. Use of RIT information technology resources may be monitored and unauthorized use is strictly prohibited. 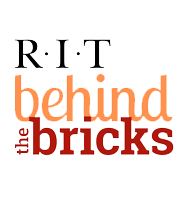 Use of this connection to the Rochester Institute of Technology is restricted to authorized users. You have requested an SSL connection to a secured resource. This request may have occurred because you have an improperly configured or older version of your web browser. PRIVACY AND SECURITY OF INFORMATION (INCLUDING PASSWORDS) IS NOT GUARANTEED when using SSL. SSL is no longer considered to be secure. You assume all responsibility for information loss if you proceed with this connection.